Flow. That word anticipates the splendor of savoring every moment of living. 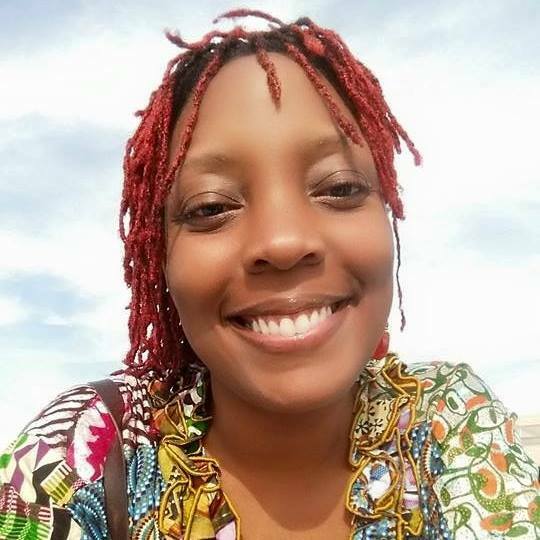 Nobody does it better than Garden Spices Contributor, LaQuanda Simpson, (Que); she is within the flow of the vibrancy of life, “off the pavement and on to the gravels.” Not that her life is easy, breezy. She works full-time in a new position that comes with new processes. She is also a new mom again, who makes her way being “Que” – this warrior woman who drums, dances, travels to commemorate history, who studies her own history, and who reveres nature, touching it whenever she can. I recall as a kid, walking out of the front door and seeing my Granddaddy Joe working the garden. My Grandmother Fannie’s rose bush was a beauty, but the thorns hurt. Who would have known I would love gardening as much as I do? I wish they were around in the physical to share my findings. Some stuff can be planted before Good Friday. I planted cabbage, broccoli, and brussel sprouts 3 weeks ago. They like cold weather. Also, I planted my greens from seeds but I should have planted them earlier. They hate the heat but I’m trying it on the south side of my garden, maybe I’ll have some luck. It’s looking good! My new thing for this year is growing squash on a tomato cage. Last year, I successfully grew cucumbers on a tomato cage. So, why not try squash? I have a small space and growing vertical will give me more room to plant more stuff! ! I love chard with eggs for breakfast! Unfortunately, deers love chard to. I’ve only had one successful season before they sniffed me out. They didn’t nibble on the plant; they took the whole plant. So, I’m not fussing with them. I’ll try to grow my chard in a pot on the sunny side of my porch! My little helper and I planted tomatoes today. She watched me like a hawk. The thunderstorms caught us and soaked our clothes! She cried out to the rain as it showered her with blessings. After the storms passed, we continued planting till dark caught us. Today was a good day! Let the good times roll!!! Today, I decided to explore a different trail, Reservation Road Trail, at TVA. I swore I wouldn’t go off pavement because I had Zawadi. I found myself off the pavement onto the gravels. I guess that’s my life story! But, anyway. I found a beautiful view that I didn’t know existed. What a local peaceful adventure for today. I am grateful! LaQuanda is a vibrant spirit moving to the rhythms of life. She was born in Selma Alabama! She believes freedom was given to her as a birth right! LaQuanda has traveled around the sun 31 times! She has invested 10 years in growing one seed. His name is Kwami Malik Ingram! Her grandparents would say LaQuanda is a good gardener because she listens! Gardening relaxes her mind and purifies her soul, drumming and dancing too! LaQuanda is a recent graduate of Geography Information Science at the University of North Alabama in Florence Alabama! She is an explorer and she loves adventure! Among friends she is better known as Que!